← Russian artist cuts off his earlobe on rooftop of psychiatric hospital where Ukrainian pilot Savchenko is being tortured. Over the past day, Russian-terrorist forces have committed more than 60 attacks on the positions of Ukrainian troops. During the attacks, they used small arms, mortars, MLRS, cannon artillery, tanks, ZU-23-2. The insurgents most actively fired at ATO [anti-terrorist operation] forces’ positions near Nikishyne, Trokhizbenka, Donetsk, Avdiivka, Tonenke, Fashchivka. In the area of ​​Smile terrorists attempted a massive assault on the positions of ATO forces with heavy weaponry. All attacks were repulsed. There are casualties on both sides. In Luhansk Oblast [region], the rotation of units of Russian armed forces is [almost] complete, as are the measures to restore the combat capability of local terrorist shock groups. A “transfer of equipment” to insurgents from Russian specialists is currently underway nearby the settlement of Stanytsia Luhanska. During the last week, the combat capabilities of the “Ghost Brigade” (under commander A. Mozgovoy) increased seriously due to weapons and equipment transferred to insurgents by the Russians. At the same time, [we observe] a deepening conflict between the command of “Ghost Brigade” and the armed formation “Zarya [Dawn]” (under the commander A. Patrushev, previously [under] I. Plotnitsky). [We also observe] a growing conflict between different groups of terrorists in the “DNR” [“Donetsk People’s Republic”]. The “DNR” leadership is trying to cope with massive instances of shootings between separate groups of insurgents during the showdowns. At a meeting on the issue, the so-called “DNR Prime Minister” A. Zakharchenko sharply criticized the leaders of individual terrorist groups and promised to take the strictest measures against the initiators of the armed confrontations. 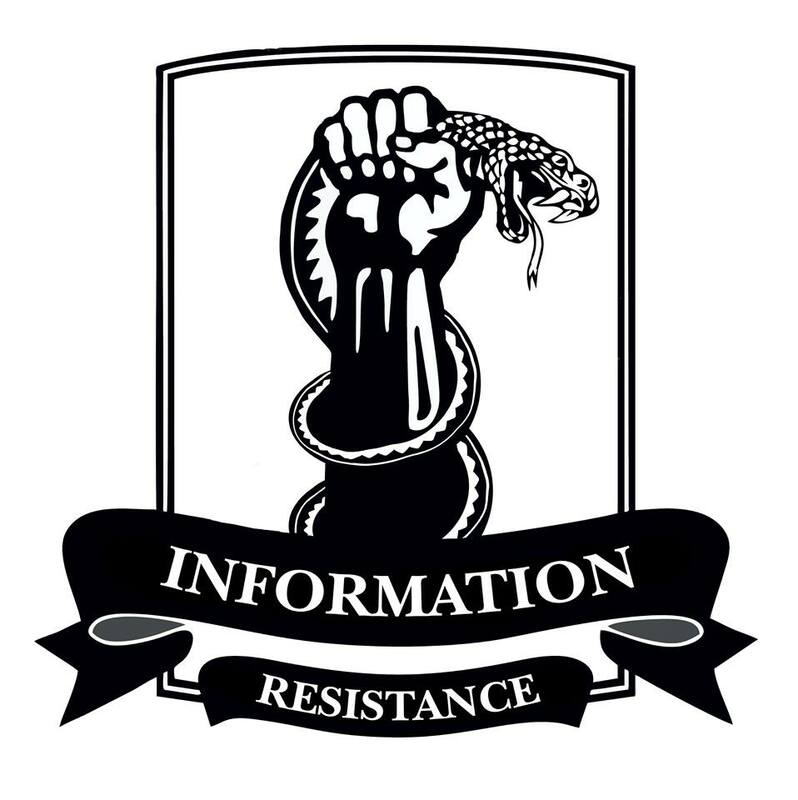 With the assistance of GRU specialists of the General Staff who arrived from Russia, a “division of information-psychological warfare” has been created in the “DNR.” The main task of the division is population outreach on territories controlled by Kyiv, first and foremost [being] in Luhansk and Donetsk regions. 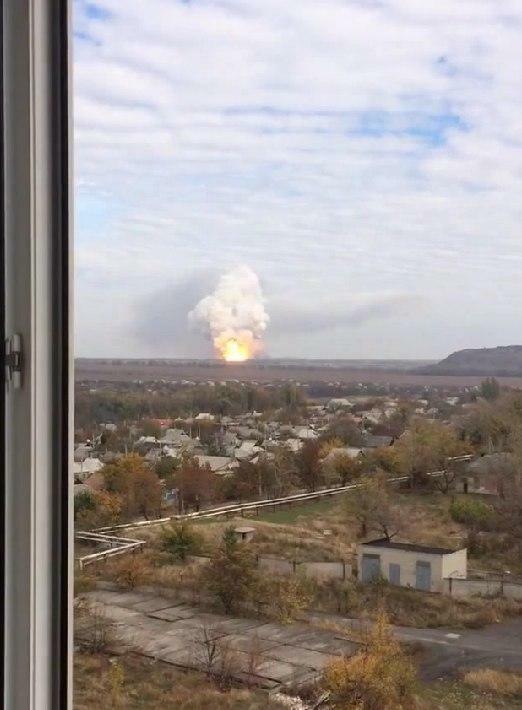 # Donetsk: They say the most violent explosion of all time. Oct. 20th. Photo source: Novosti Donbas.